Coming down heavily on the government and BJP leadership, Union minister Anant Kumar Hegde and the groups that "attack free expression", actor Prakash Raj said on Thursday he was "not anti-Hindu", but "anti- Modi, anti-Amit Shah and anti-Hegde". The popular south Indian star's comments during a session at a media event, drew a sharp reaction from the BJP's Telangana spokesperson Krishna Saagar Rao. "They say I am anti-Hindu. No. I am anti-(Narendra) Modi, I am anti-Hegde, I am anti-Amit Shah. According to me, they are not Hindus. Mr Anant Kumar Hegde, who says he wants to wipe out an 'ism', a religion from the face of this earth cannot be a Hindu," Prakash Raj said. "The person who supports killing, cannot be a Hindu," he said. The BJP spokesperson stood up and objected to Prakash Raj's comments on Modi and Shah. "BJP per se does not come down heavily on who to speak, what to speak, where to speak, how to speak. But, the question is, when you are saying 'they and us', you are dividing already," Krishna Saagar Rao said. Those who are described as fringe groups, too, have a right to express themselves, he said. "When you speak, it is freedom of speech, when they speak, it is fringe," Rao added. 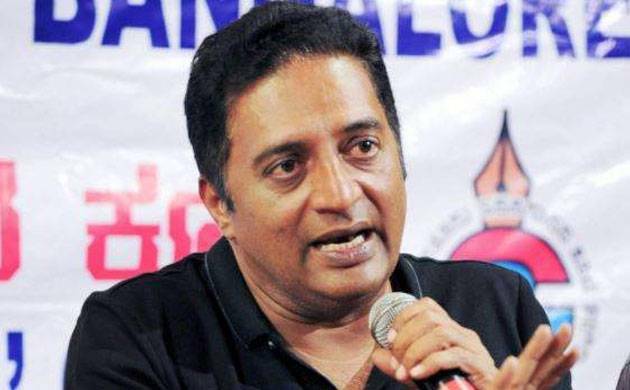 Prakash Raj also attacked the state governments that have banned the film "Padmaavat' and groups opposing its release. "These state governments are citing reasons of law and order. They should step down. Because, they are not fit to be there in the first place. Or accept that with power, we are arm-twisting. Then they should be sent out by us. "So, it is very clear that they want to stall, they want to cater to a fringe group... It is a very straight blatant attack on free expression," Raj said. He also referred to BJP activists "cleaning" a place in Karnataka a few days ago with 'gomutra' (cow urine), where he spoke against Hegde for his reported comments that Constitution should be changed. Raj said Modi should not let Hegde speak. "My prime minister should ask his minister, an elected, mandated minister, not to say that a religion should be wiped out from the earth. That is not Hinduism. If my prime minister does not ask his minister to shut up, then I am asking (sic) my prime minister you are also not a Hindu," he said. S K Sasidharan, director of the film "S Durga", which had also kicked up a row, said the film is not about religion.